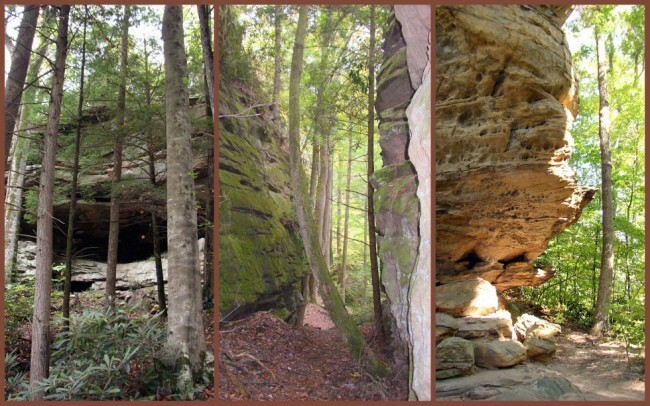 No trip to the Big South Fork National River & Recreation Area (BSF) would be complete without spending some time in the backcountry. 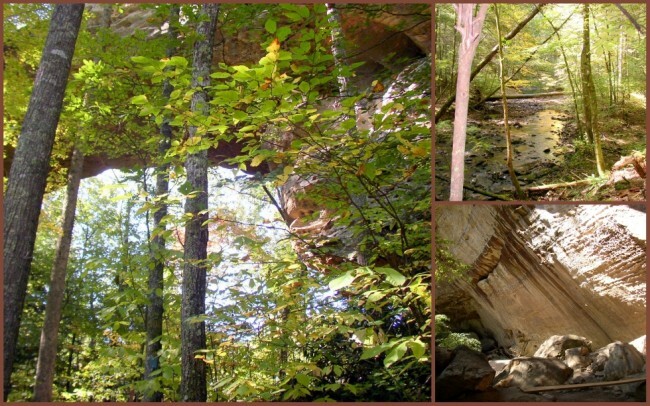 BSF has numerous trails on both the Kentucky and Tennessee sides of the border. 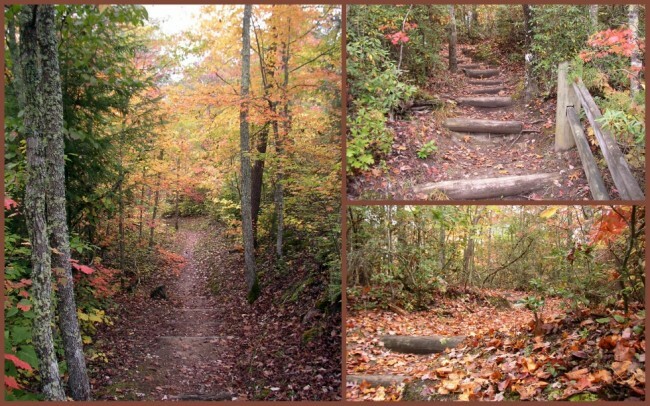 My son Keith and I found a great little (0.6-mile each way) trail on an autumn visit to the Big South Fork and thought it worth sharing. It’s known as the Split Bow Arch Trail and is very scenic. You begin your trek at the Bear Creek Overlook trailhead (make sure to check out the overlook before you head down to Split Bow Arch). On the morning we headed in it was super foggy, which made for a very interesting start of the day. Once the sun broke out the landscape exploded with peak fall colors everywhere. 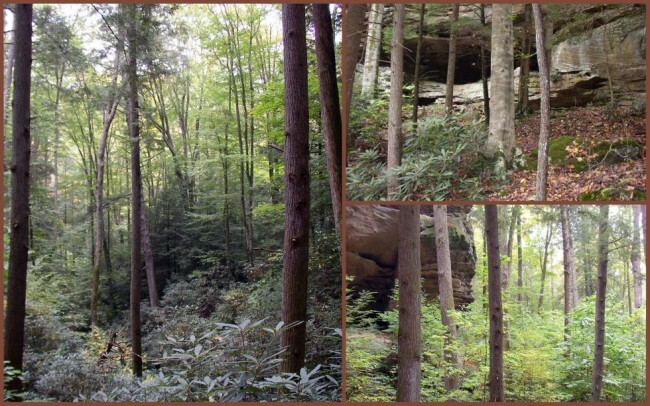 Entering the trail, you’ll descend some steep steps carved into a sandstone bluff as well as a series of log stairs. Shortly thereafter (about 0.2 of a mile) the trail splits into a loop which will bring you back to this junction. You can go in either direction, won’t make any difference. We went to the left and traversed through a dense, almost Jurassic-feeling (as seen in the movies) forest. You’ll be surrounded by tremendous stands of deciduous and coniferous trees, rhododendron and too many other species to mention here. There’ll be a stream crossing, more stairs and some near-bushwhacking on your trip to the arch. The arch itself is thought to have been created by the erosion of a narrow ridge that had split in two and shaped by various forces of erosion. It’s an impressive formation by any standard. You’ll get to climb more stairs and navigate your way through the split on your way back to the loop trail junction. For the geologist in you, it is an amazing scramble through an impressive and scenic formation. 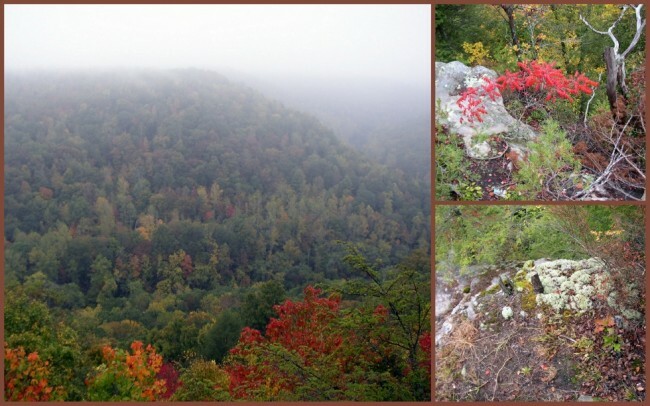 This is a fairly easy and rewarding hike. In total, the distance is 1.28 miles, not too bad for anyone with minimal walking abilities. If the trail is wet you will find some slippery spots so use caution. 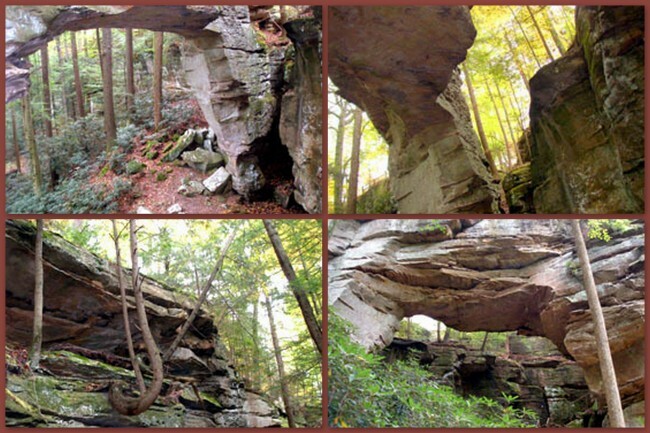 If you’re planning to take this hike take a minute to visit the Big South Fork website. There’s lots of good information there to help you plan your adventure in one of the Southeast’s premier areas.